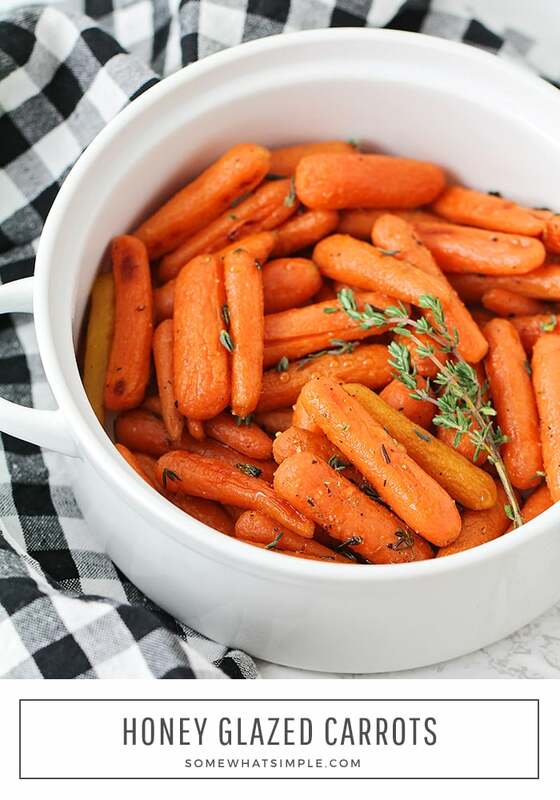 Honey glazed carrots make a simple side dish that is delicious, healthy, and so easy to make! Drizzle these roasted carrots in a honey and olive oil glaze that will make them irresistibly sweet! Honey glazed carrots are one of my kids’ favorite ways to consume vegetables! 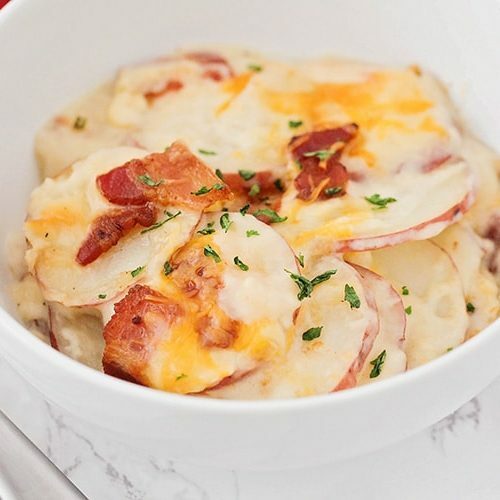 Serve them with Instant-Pot Ham, Crock Pot Pepperoncini Pot Roast, or Garlic Parmesan Chicken for an amazing meal that takes little time to prep and cook! When my oldest was a baby and I was considering the huge responsibility I had just taken on in raising (and feeding) this little person for at least the next eighteen years, my husband and I made a goal that we would eat at least one fruit and one vegetable every night with dinner. 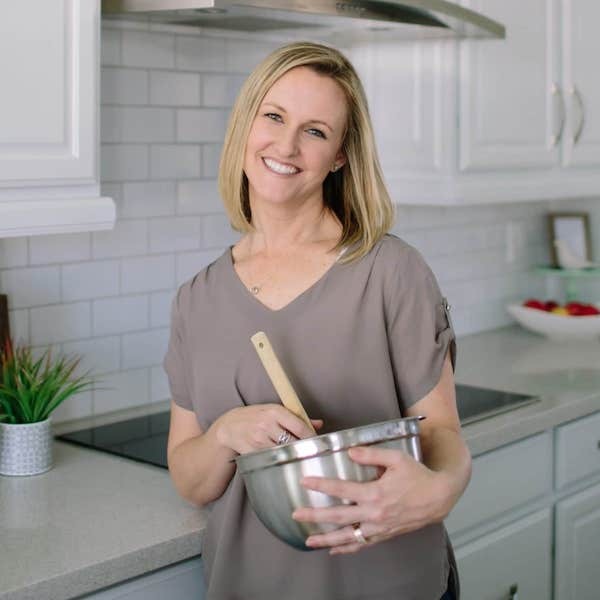 Over the years, we’ve done a pretty good job of sticking to the goal, and our kids know that fruits and vegetables are a non-negotiable part of dinner. To improve our success, we like to keep things really simple and easy with recipes like these delicious honey glazed carrots. Most days, we’ll have something like bananas, sliced apples, grapes, or home-canned peaches for our fruit, and either fresh veggies (like baby carrots or celery sticks) or simple steamed vegetables. Since I discovered the joy of roasted vegetables a few years ago, though, it has definitely become our favorite way of preparing vegetables! 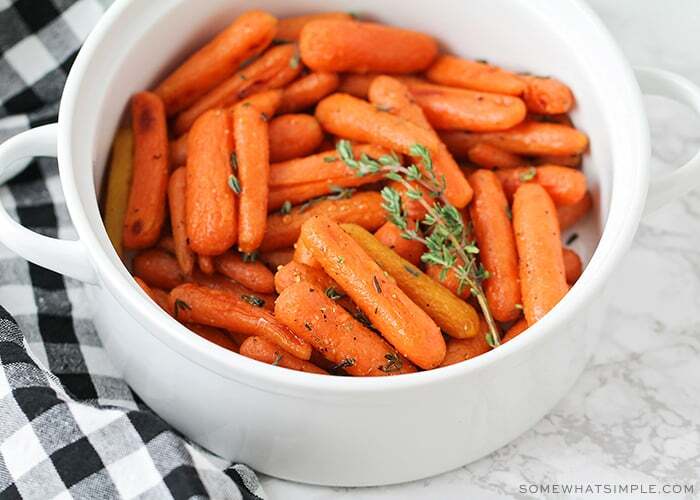 We nearly always have carrots on hand, because they’re delicious, affordable, and available year round, but roasting them is definitely my favorite way to let their flavor shine! These honey glazed carrots are simple and easy to make, and everyone in my family loves them! 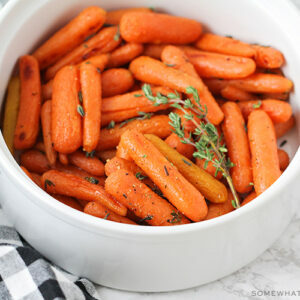 The carrots get a really amazing flavor from roasting in the oven. If you haven’t tried roasting vegetables yet, you are totally missing out! I will eat just about any vegetable (even if it’s not usually one of my favorites) as long as it’s roasted in the oven with a little olive oil and seasoning. Roasting brings out all the delicious flavors in vegetables, and it makes them so tender and easy to eat. My kids seriously eat roasted vegetables like they are candy! These honey roasted carrots are so simple to make! Just follow these few easy steps. Be sure the vegetables aren’t overlapping on the baking sheet. This will allow them to cook evenly and roast properly. 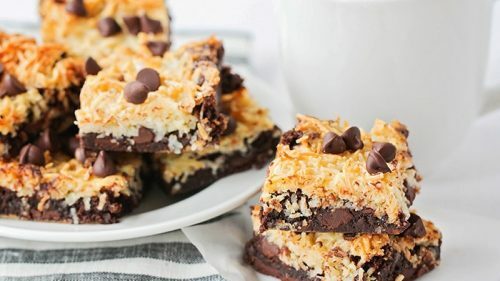 If you want to make a larger batch to eat later in the week, don’t be afraid to use a second baking sheet. You can store these honey honey glazed carrots in the fridge for about 3-5 days. I just keep them in a Ziploc bag until I’m ready to eat them again. Then just simply warm them up again and serve. If you’re not going to be able to eat them within 5 days, I would not recommend freezing these. Once you’ve roasted them and the carrots become soft, they will turn mushy once they thaw. 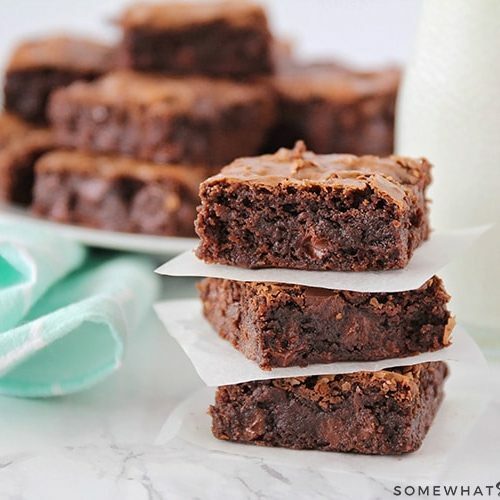 Don’t worry about it though, this recipe is so quick and easy to make, you can enjoy a fresh batch whenever you want! These carrots are a great side dish with chicken or ham, and they’re so easy to make that they’re perfect for weeknight dinners. This recipe is also great because you can easily double or triple it if you’re making it for a crowd, without any additional work. You definitely need to give these honey carrots a try! Let us know if you make these honey glazed carrots by leaving us a link in the comments section below, or by tagging us on social media! 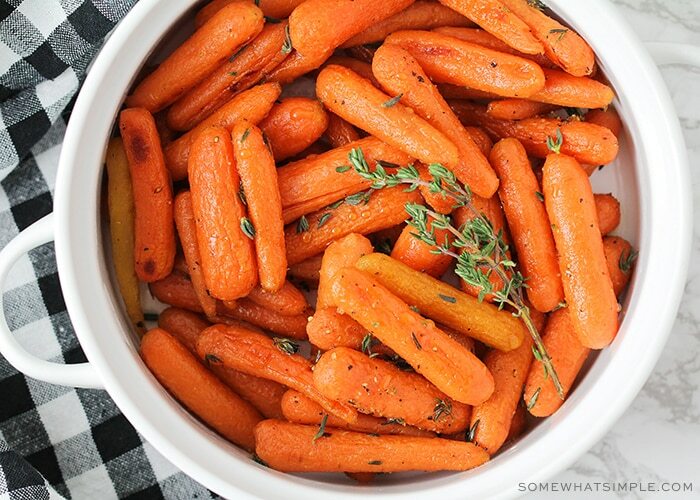 Honey glazed carrots are a simple side dish that is delicious, healthy, and so easy to make! Preheat the oven to 425. Line a baking sheet with parchment or foil. 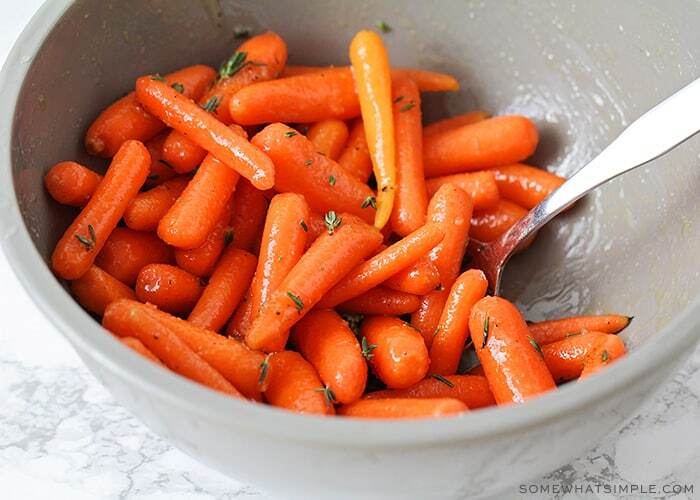 Add the baby carrots to a medium bowl. Pour the olive oil and honey over the carrots and toss to coat. Add the salt, pepper, and fresh thyme, and toss again to coat. 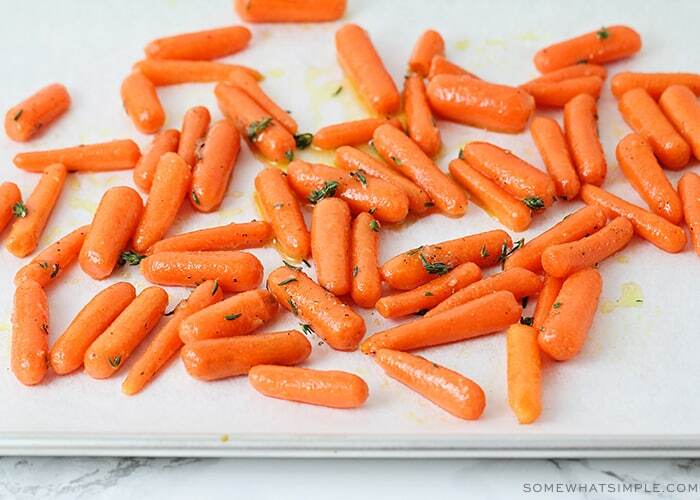 Pour the carrots onto the prepared baking sheet. Bake 25 minutes, or until tender and just slightly browned. 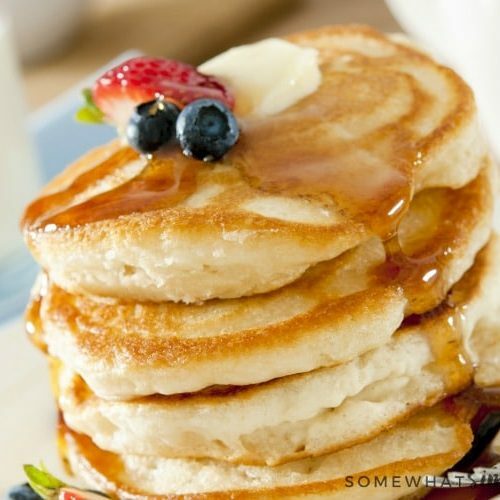 Serve drizzled with additional honey and sprinkled with fresh thyme, if desired. What a great side dish! I have to try it out! Love carrots and honey so absolutely YES! This is such a lovely recipe for spring! Excited to serve this with our Easter brunch this year! 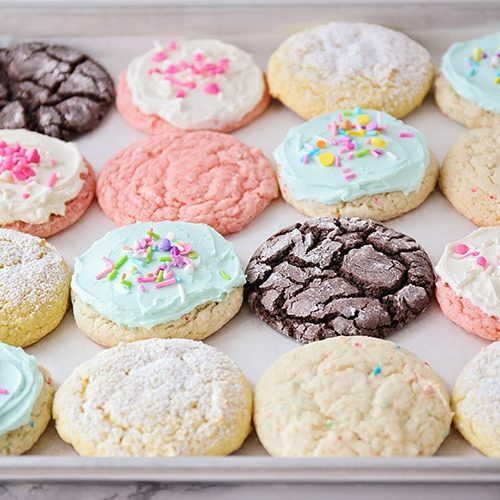 These are a family favorite! 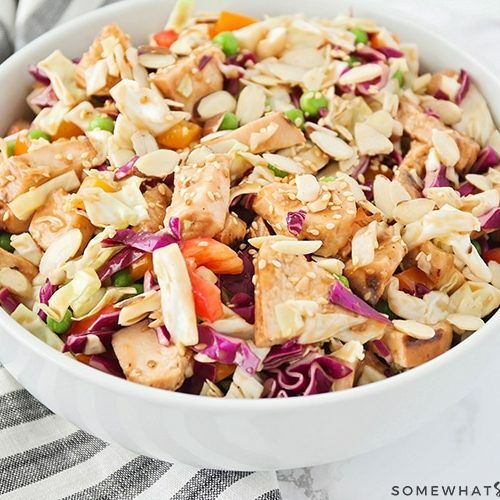 Such an easy and delicious side dish! This looks amazing! 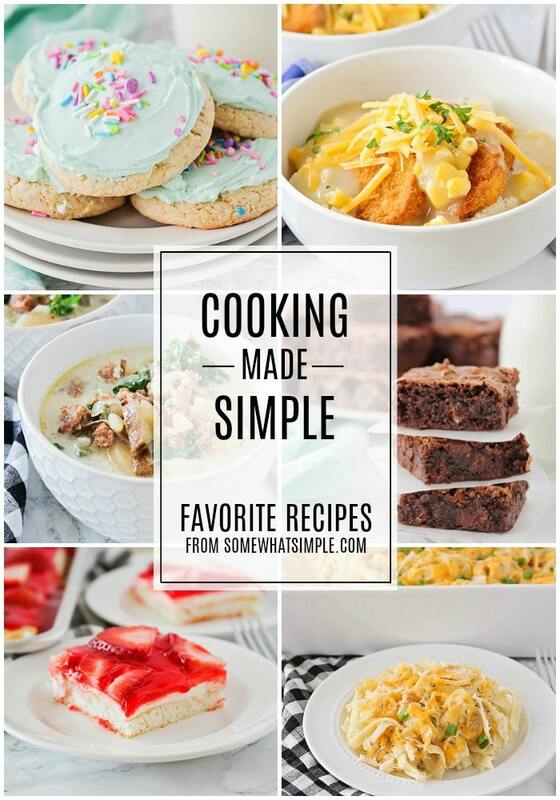 I really slack on what to make for side dishes so this would be perfect for us, thanks. You’re so welcome! 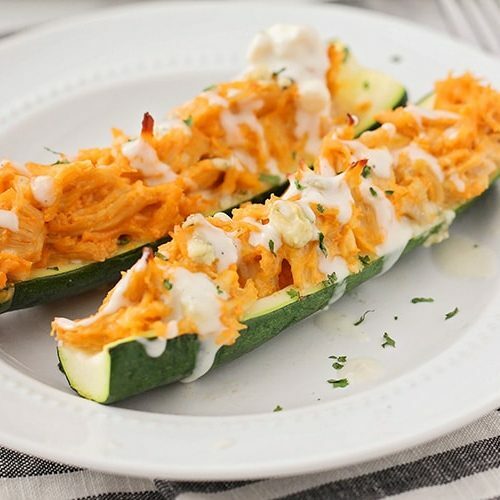 These really are one of the easiest side dishes you can make!